If you’re hoping to get health care services at the new COA Youth and Family Centers Goldin Primary Care Clinic, you should make an appointment now, according to Kelly Campbell, the clinic’s adult nurse practitioner and nurse manager. The clinic, at 2320 W. Burleigh St. in the Amani neighborhood is a collaborative effort of Children’s Hospital of Wisconsin, Marquette University’s College of Nursing and COA Youth and Family Centers. It is under construction and is set to open in October. 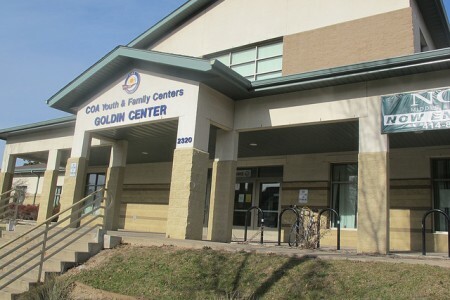 Community members interested in becoming a Goldin patient can call 277-8900 now to set up an appointment at the Downtown Health Center, 1020 N. 12th St., with a Marquette nurse practitioner. Patients will be able to make same-day appointments at Goldin once the clinic opens. The partnership was born more than a year ago when COA surveys found that health care was a top need in the Amani community. At the same time, Children’s was looking to expand. The clinic will serve youth from birth to age 19 and their caregivers. Marquette was brought on to serve the adult patients. Duckens said COA will be the landlord of the clinic and will collaborate with Children’s on holistic health education programming, which all three partners hope to highlight. A fitness center and nutrition classes already are available at Goldin. Marquette will supply three family nurse practitioners, one pediatric nurse practitioner and one adult nurse practitioner for the clinic. This will be the first Children’s Medical Group community clinic to be run only by nurse practitioners, who can prescribe medications, physical therapy and outpatient therapy but not home care, Campbell noted. “I truly believe that nurse practitioners in general and the nurse practitioners at Marquette in particular are really interested in the health education piece,” said Dr. Smriti Khare, president of Children’s Medical Group. Campbell said she hopes to emphasize the importance of regular checkups for kids through the clinic’s health education. “When your kid is not sick and you have crisis in your life, getting them to their wellness appointment is not a primary concern.” She hopes that the clinic will combat that mentality by creating an easily accessible health home in the community. Campbell pointed out that wellness visits are particularly important for children because they show whether kids are reaching milestones at the right time. The five nurse practitioners also will work at a partner clinic from the collaboration at the Northside YMCA, 1350 W. North Ave. They will begin by working at one location for two days a week and the other for three days. Unlike at other Children’s clinics, community members can go to both clinics, and the staff will be the same.